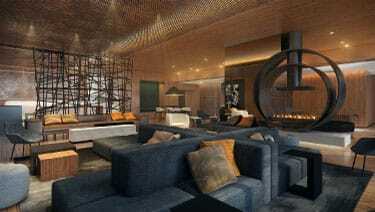 The custom gas commercial fireplace we helped design, and manufactured for The Kimpton Hotel Palomar is a perfect example of how We Find Yes. Mark Melzer of Melzer, Deckert + Ruder, Architects, Inc. came to us in Spring 2016 looking for a unique focal point of the entry lobby at the Palomar Hotel in Beverly Hills, CA that could match the stunning design inspiration done by Craig Hardman of Dawson Design Associates, Inc as well as meet Los Angeles city requirements. Craig was looking for a double ring custom gas fireplace that was made of hot rolled steel or cold rolled steel with a darker, black finish. Ben, one of our highly skilled Fireplace Advisors, collaborated with Mark and Craig to define their needs and desires. 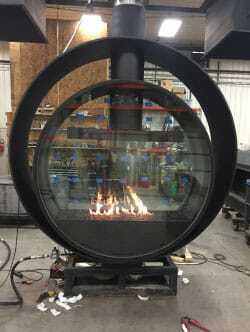 This particular custom gas fireplace was being put into a commercial setting, so our Glass Cooling System was a must to avoid high glass temperatures. 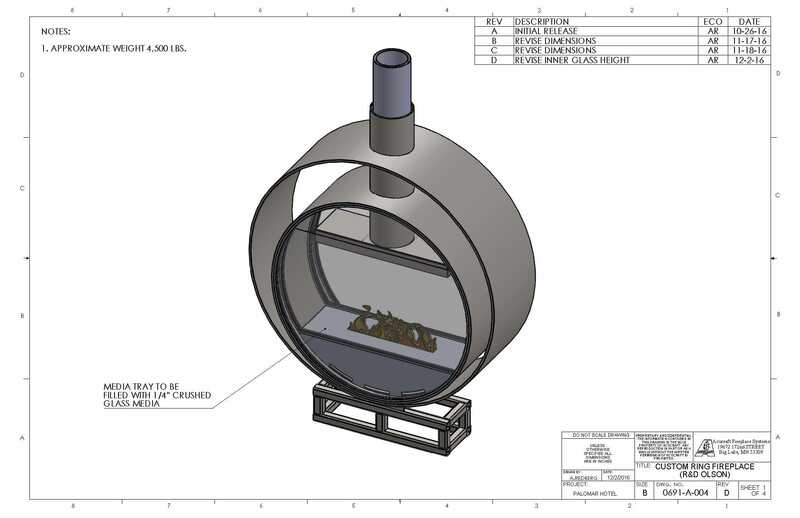 The custom rings were designed to be 3/4″ thick with removable glass panes for cleaning and maintenance. 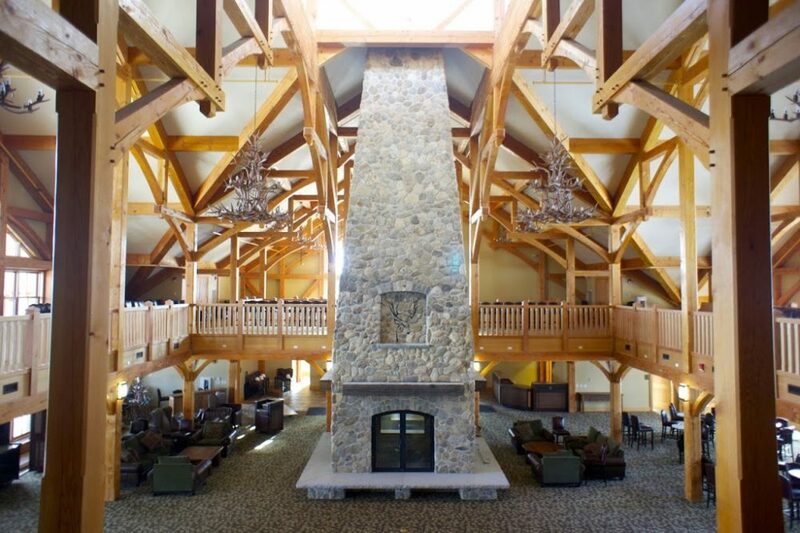 The fireplace stands at over 10′ tall from base to the top of the outer ring and is 28″ deep. 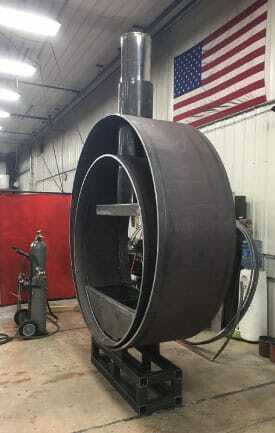 The outer ring is 82.5″ in circumference while the inner ring has a circumference of 72″ and includes a 30″ line of fire custom linear burner capable of 35,000-45,000 BTUs. The photos above show the customer’s fireplace making it’s way from Production to Finishing and finally onto Testing before shipping to the customer. Every gas fireplace Acucraft builds is made to exceed ANSI standards and must pass all of Acucraft’s internal performance tests before shipping out. 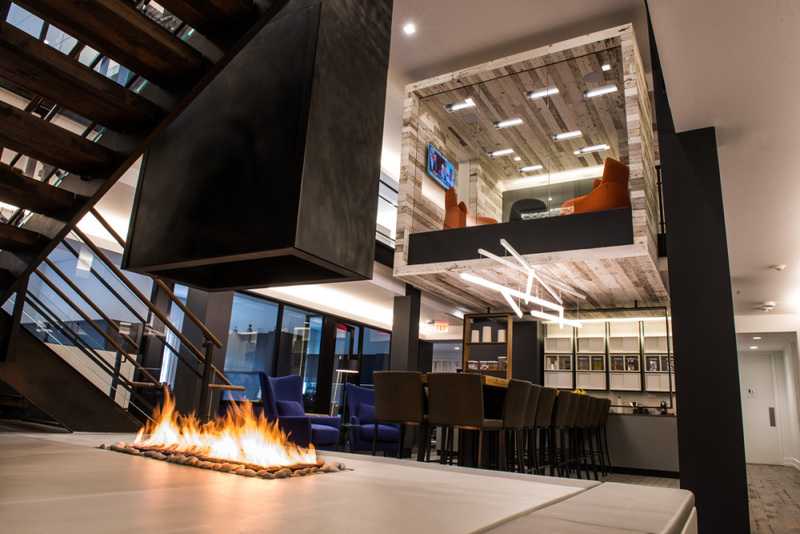 We couldn’t be happier with how this commercial gas fireplace turned out and how well it fits into the Palomar Hotel’s newly redesigned lobby! This fireplace was definitely one of Acucraft’s most unique fireplaces built; it was a privilege working with all of the teams involved in bringing this design to life, we look forward to working on future projects! 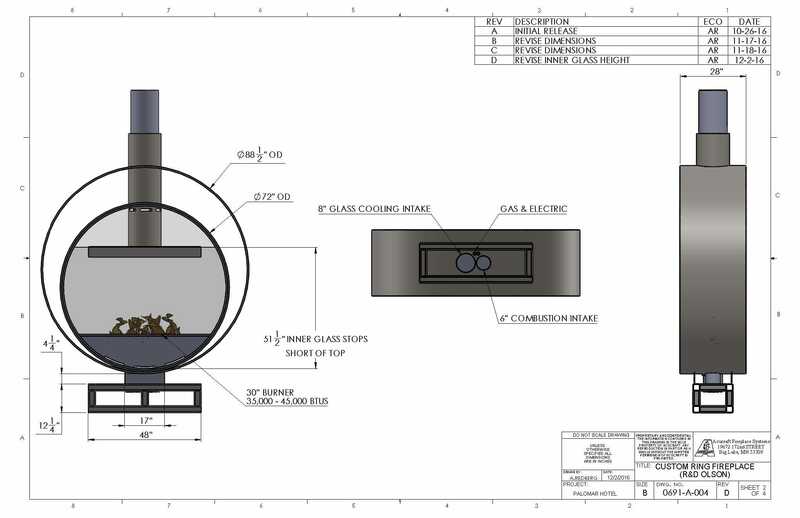 Start Your Own Fireplace Journey by Requesting a Copy of Our Custom Gas Brochure! 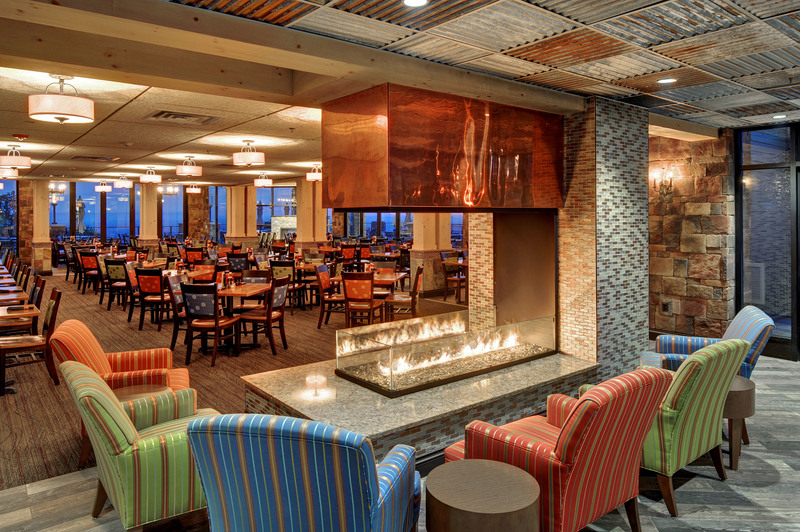 This modern gas fireplace features 4-sides of ceiling-height glass to provide unobstructed views of nearby mountains. 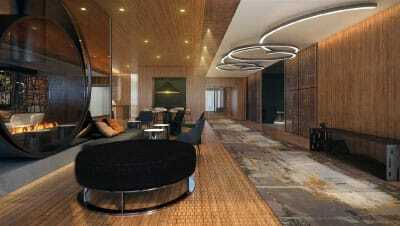 An open indoor fire pit with sleek finishes complements the distinctive interiors of an office. This 3-sided linear gas fireplace features copper, tile and natural stone elements to match this dining area’s eclectic contemporary decor. 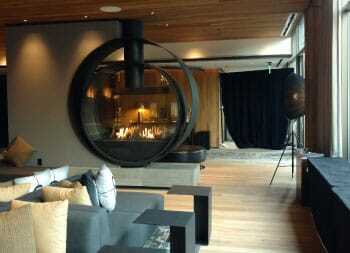 Circular gas fireplaces combine a 1970s vibe with modern simplicity. 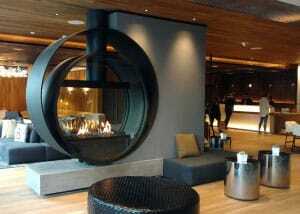 or open, for a modern take on the outdoor fire pit. 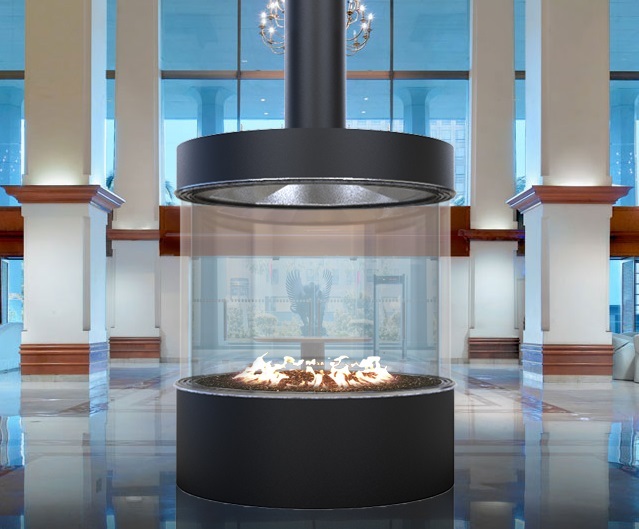 Whatever space you’re planning, Acucraft can create a modern gas fireplace that fits your project. Request a Custom Gas Fireplace brochure or connect with one of our Fireplace Advisors today.